In today’s rumor rundown, Connor McDavid suggests there might be a secret to the Oilers potential for success in 2018-19, Jonathan Drouin details where he thinks he’ll play for the Canadiens next season and a suggested trade of William Nylander for Erik Karlsson is out there. It goes without saying that few hockey players are ok with losing. Connor McDavid says it’s time for the Oilers to come together and realize that losing is not what they want to do. McDavid spoke to reporters including Luke Fox of Sportsnet at the recent Pro Edge Power training camp in Toronto and passed along that message. McDavid suggested that even though the 2017-18 season didn’t go as planned, he liked the fight in his team until the end. He said, “There’s just got to be a point in time where you get sick of losing, and you just don’t anymore.” He added the guys all came together and got back to playing hockey the way it should have been playing all year. His comments seem to suggest that despite not adding a lot over the summer, he expects the team will be much improved. That said, the Oilers might not be done adding pieces. They still need to sign Darnell Nurse and GM Peter Chiarelli told Paul Gazzola of EdmontonOilers.com that the team will explore the possibilities of bringing a 14th forward to camp. Chiarelli said. “We’ve talked to a number of players on PTOs. We’re going to look at waivers and see what’s available there.” He added that the organization will move slowly on that front because there may be some guys already competing at camp that could steal jobs. 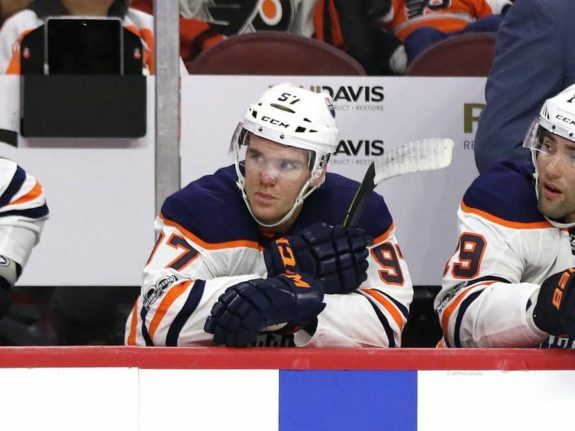 McDavid did say that he’s excited about having Kyle Brodziak joining the team because there was a definite need for his style of play and leadership in a locker room that missed a veteran voice. Speculation was the loss of guys like Matt Hendricks hurt the team more than people care to admit. One of the critiques of the Montreal Canadiens 2017-18 season was that they put Jonathan Drouin at center when he’s proven himself to be a much stronger winger. 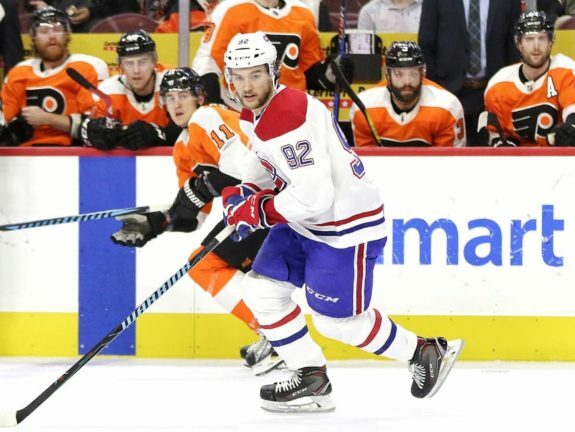 Despite most thinking that moving him away from center is the smart play, Drouin told Pat Hickey of the Montreal Gazette that he will be back in the middle when training camp opens next month. Drouin suggested that he can be a center in the NHL and that towards the end of the season was starting to figure out the position and enjoy it. His production did get better as the season grew longer including 18 points in his final 25 games and nine in nine to finish the year. If that’s the kind of center the Canadiens will get, people won’t be so quick to want him moved to the wing. There’s still a definite argument that Drouin in the middle eliminates the need for the Canadiens to get a top center but if he can have a strong start, it could quite down the noise a little. 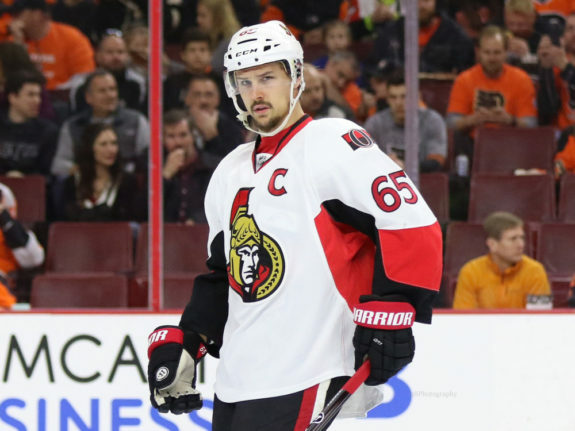 Erik Karlsson for William Nylander? Howard Berger of Between the Posts believes the Toronto Maple Leafs should look into acquiring Erik Karlsson from the Ottawa Senators. He also thinks the Leafs should use still unsigned restricted free agent William Nylander to land Karlsson. Suggesting the Leafs are not a Stanley Cup contending team without a better blue line corps, having a Norris Trophy-caliber defenseman like Karlsson is the missing piece. While the idea itself is interesting, there are a few things to consider before taking the idea as anything that could actually happen. First, the Senators would have to be comfortable sending their best player to their biggest rival. Second, Toronto would need to be on Karlsson’s list of accepted trade teams (he has a no-trade clause). Finally, the question would have to be asked if the Leafs would trade a potentially offensive dynamo in Nylander (still under team control) for a one-year rental. Karlsson is bound to command $11 million per season and the Leafs likely can’t afford a straight salary swap of Nylander for Karlsson. They barely have room to fit Nylander in as it is. He did add that Boeser is excited to just get the season going already and it would be nice if a contract was not on the back of anyone’s mind but they haven’t put any sort of deadline on things. They may talk to GM Jim Benning during the season but it’s too early to know that for sure. 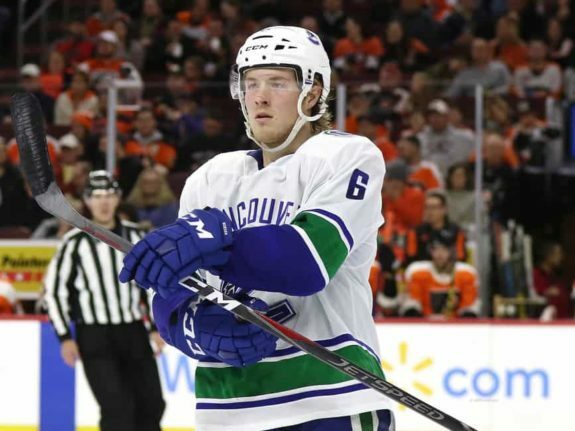 Boeser had 29 goals and 55 points in his first full season (62 games) with the Canucks. A back injury shortened that season in early March. A full healthy season with similar per-game production would be great for Boeser’s potential new contract numbers.